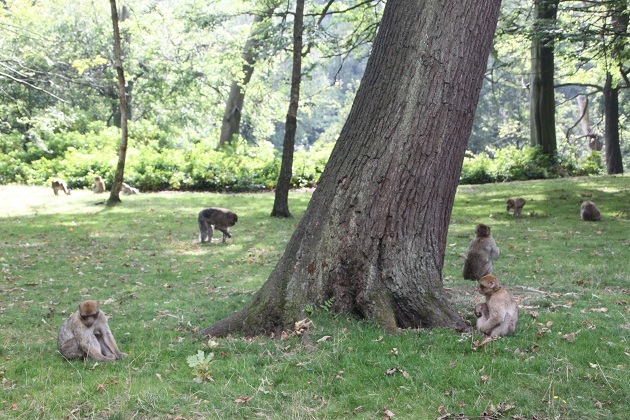 Monkey Forest, near Stoke on Trent opened way back in 2005 and had long been on my “list” of places to visit. We just never seemed to get around to this, so when a sunny Saturday arrived the opportunity was seized for an afternoon out with a difference. 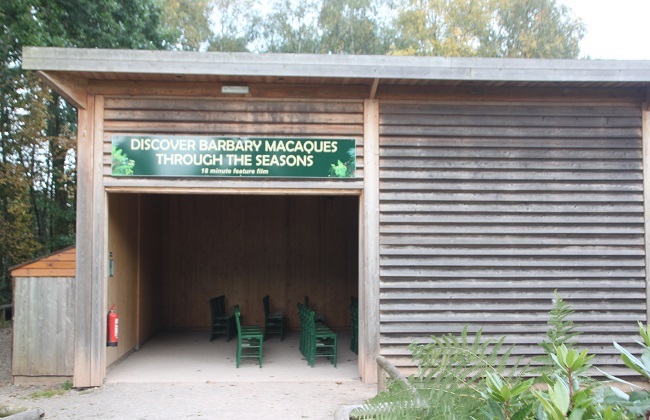 Part of the Trentham Estate and absolutely gorgeous, we discovered 60 acres of Staffordshire woodland home to 140 free roaming Barbary Macaques. 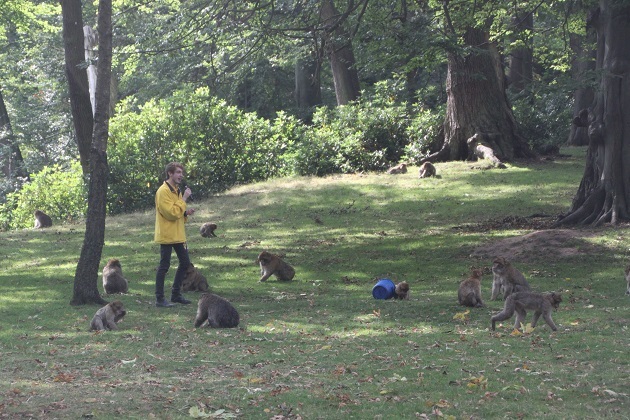 I think this is the only place in Britain where you can wander freely and get up close (within reason) to a whole load of monkeys. Admission fees were very reasonable I thought – £20 for the three of us, we arrived at lunchtime and left at 5pm when the park closed. Our first stop was the rather lovely picnic area which had plenty of tables but was extremely busy. Son relished the setting – right next to a great playground, so he made good use of that. Then it was time to get on with the monkey business. A film presentation about them plays on a constant loop and takes around fifteen minutes. 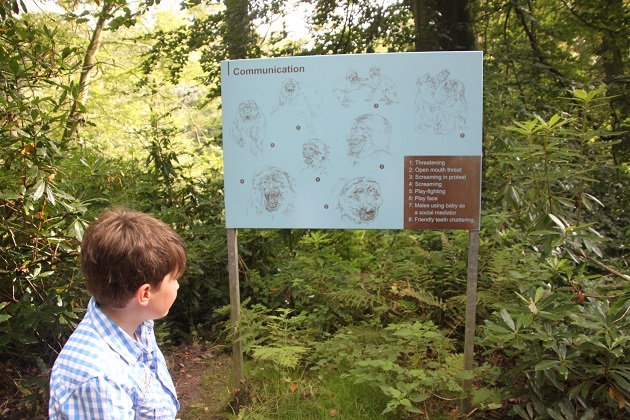 Highly informative, it showed the monkeys here through the seasons and was great to watch before entering the forest proper. The monkeys live in total freedom here, there are no restrictions whatever within their 60 acres. You can watch them as they go about their lives, it is a completely different experience to a zoo. 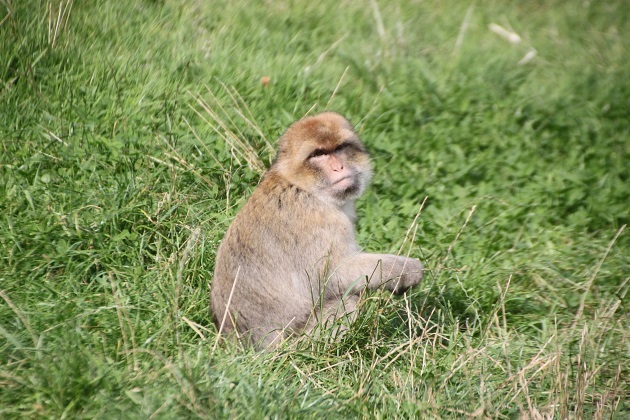 We felt like the alien species, the monkeys were just getting on with things and looking at us curiously. A bit disconcerting at first when they cross the path in front of you or sit on the fence and stare you right in the eye, but great fun. 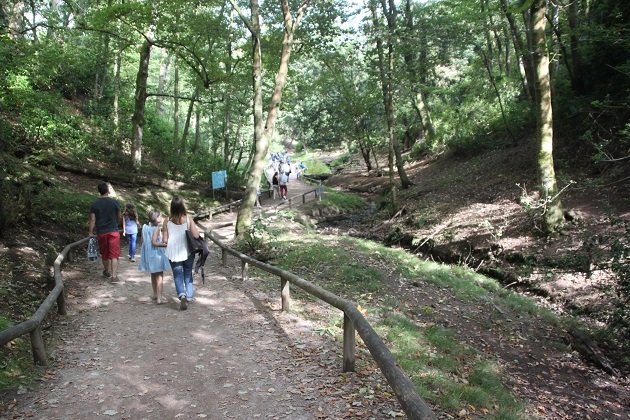 The woodland trail climbs up a hill and is just under a mile. You walk right amongst the monkeys, there are no barriers between the forest and the path but the humans have to stay on the path. We watched monkeys swinging from the trees, lounging on the grass, grooming themselves and chattering. The looping paths were so easy to get around and although there were plenty of other humans around, it did not detract from the experience. Lots of grooming, prowling and swinging – we were intrigued. 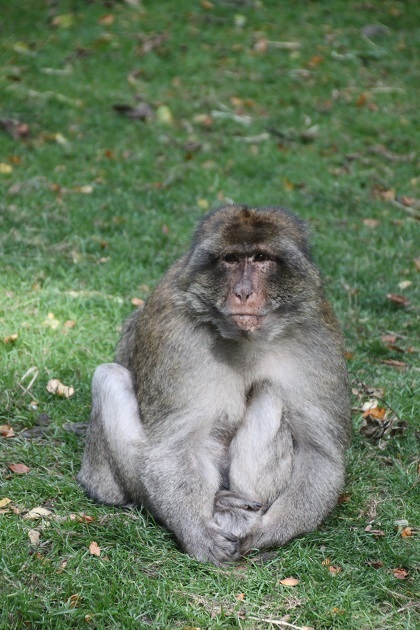 There are two groups of 70 macaques at the forest, originally from other parks in France and Germany. They inhabit two different parts of the forest, the oldest monkey is nearly 30 years old. We saw a large number of babies scampering around too – seems like reproduction is not an issue here. Taking photos was super easy, the monkeys walk happily right in front of you, stopping to look and pick up discarded fruit. They aim here to increase awareness of this endangered species and also to reintroduce groups of macaques into the wild. There are only about 8,000 left in the mountainous regions of Morocco and Algeria. Their habitat is under constant threat due to excessive logging. 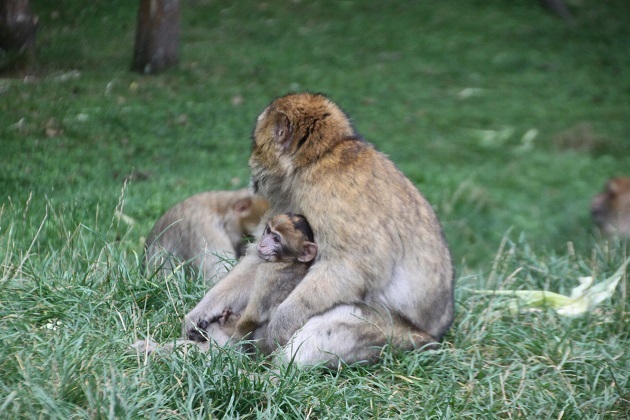 Monkey Forest has successfully introduced 600 monkeys back to Morocco. We found no end of guides dotted around the paths too. They were extremely friendly and helpful, ever ready to chat and tell us intriguing tales about the monkeys. They feed the macaques hourly, we went to the last feeding session at 4.15 and found we were part of only a handful of people so got some great views. 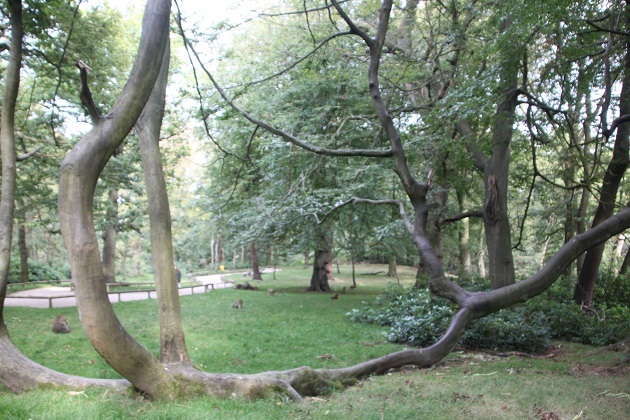 You can enter and leave the forest as many times as you like during your visit. We emerged to the Banana Café for refreshments then returned – a great way to break up the day. Later in the afternoon after that last feeding session everywhere was much less busy and hardly any humans around. The monkeys however, well they were everywhere and full of life. This was the perfect time to see them properly. Fun and interesting, we loved our afternoon in the forest with a difference. It’s fantastic – we loved it too. The setting is just gorgeous and I could imagine visiting every week and it being a different experience. That looks a wonderful place to spend a day, especially to work on photography skills. 🙂 Thanks for sharing, I’ve never heard of it! I think it must be tempting to veer off the path to go cuddle a monkey, lol. Looks like a nice alternative to a zoo enclosure. How do they keep the monkeys inside the forest? They had a lot of freedom, the area was huge and plenty of private places way off the main paths where they could get away from the humans if they wanted to. 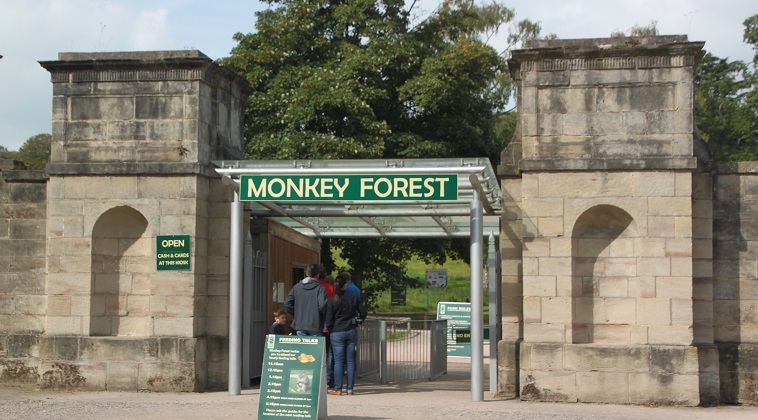 Not sure how they keep the monkeys in though, assume there must be some sort of electric perimeter fence. This is amazing! I don’t know why I’ve never heard of it. Do they only have Macaques or other species as well? Only Macaques in 2 main groups apparently, they can mix if they want to but don’t. It is a great place, I don’t think they publicise their existence that well but it is definitely worth a visit. It’s a fun place to visit and yes, they are super cute!! I really don’t like zoos, but a natural environment like this with a programme to reintroduce suitable animals to the wild is another matter entirely. I’d love to visit. Absolutely Annabel, I completely agree. This place felt as far away from a zoo as you could get, we loved it. He he, good point about Parliament!! 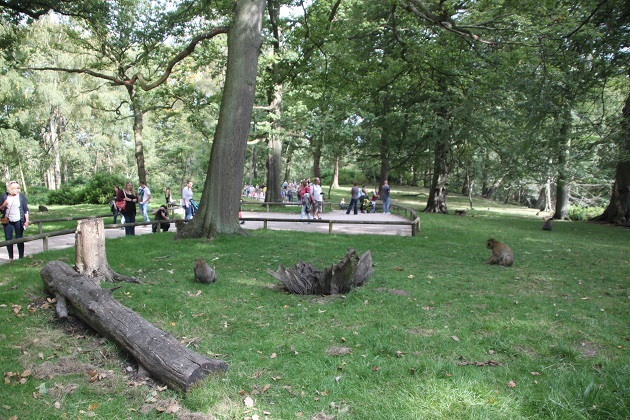 That’s not too far from me, and I remember seeing the monkeys there before heading to Nottingham for a night out. 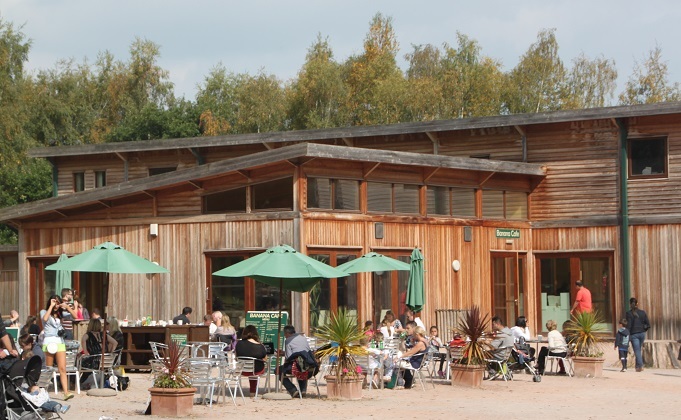 Nice rural location – there should be more places like this in the UK! Completely agree, it’s a lovely place and a walk with a difference! How fun!! Look at those faces! I know, everyone has a different expression! My girls would love this place – who doesn’t like monkeys?! Absolutely – they’re so watchable, you could look at them for hours, we did here! What a really cool place, Joy. Has there ever been issues with people interacting that closely with the monkey’s? Not sure George but never heard or read of anything serious. 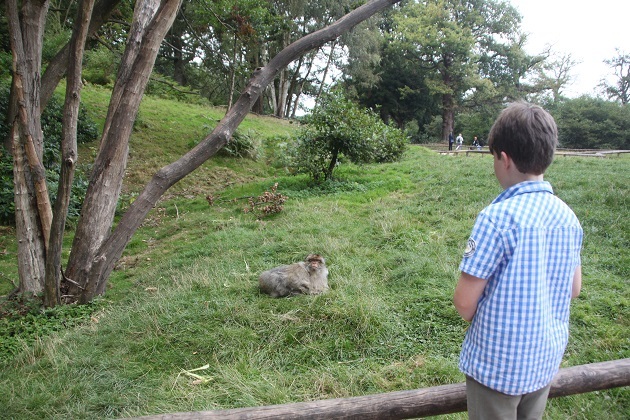 The monkeys seemed pretty chilled out, I was more freaked when we went in wondering the same as you but soon relaxed. They have loads of guides along the paths to make sure people don’t over step the mark and they keep an eye on things. 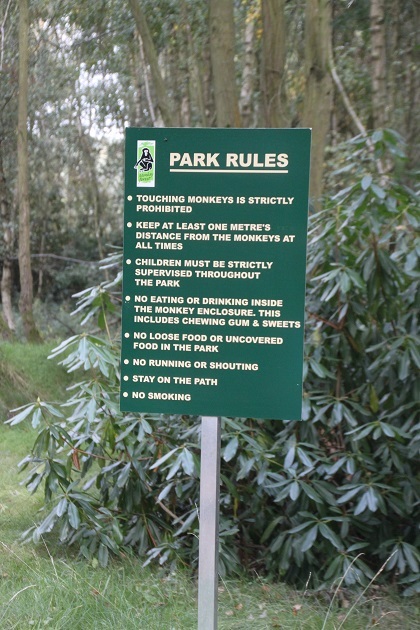 The monkeys can go to their private area too if they’ve had enough of the humans!! 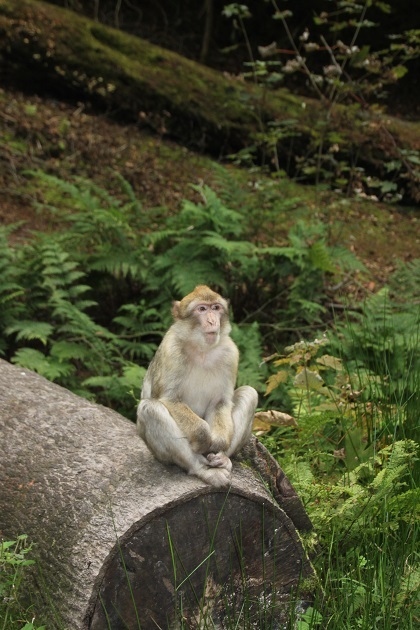 Of all the things I would expect to find in England, a forest full of monkeys is not one of them. That last photo is a beauty! He’s a super cute little guy – that last one I think!! I agree totally too, not what you expect to find here but all the better for it!! It was wonderful Rosemary, so unlike a zoo as the animals were free to go where they pleased, it was the humans who had to stick to a set area. We loved it, monkeys are intriguing anyway but when you can get so close to them it’s incredible. Your Monkey would definitely have the best time here. It’s such fun for children, such a novelty to see the animals going about their business without cages or enclosures. We had the best day out, you’ll have to squeeze in a trip when you visit your in-laws! !